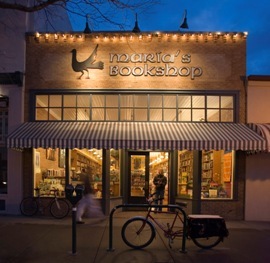 A locally-owned and independent bookstore, Maria’s Bookshop has provided an inspiring community hub to locals and visitors of Southwest Colorado for more than 30 years. Maria’s supports an enthusiastic learning environment and promotes thoughtful and engaged dialogue in a warm, welcoming space; local artwork hangs beside antique snowshoes, skies and sleds on original brick walls and custom-made wooden shelves are stocked with more than 40,000 books. People: whether staff or customers, local authors or community partners, Maria’s foster relationships of respect, appreciation and support. Staff here are inviting, knowledgeable and fun. Community events and display windows show unwavering support for local authors. Durango is home, and Maria’s is a grateful and active member of this exceptional community, showing support through: donations to community charitable events and schools, promoting and hosting local events, supporting local vendors, and choosing environmentally conscious business practices. The Environment: Maria’s Bookshop attempts to be a green business. We have cut our electricity consumption by nearly half in the past 10 year and we purchase green energy. We support alternative transportation with multiple programs, including sponsoring a City bicycle rack in front of the store. We purchase from other locally-owned, independent businesses in our community and use green products. Books: lining the shelves of Maria’s are hand-picked books curated with the community in mind. The texts we choose are culturally enriching and often pay homage to our southwestern roots; our selection is a positive reflection of the local communit. 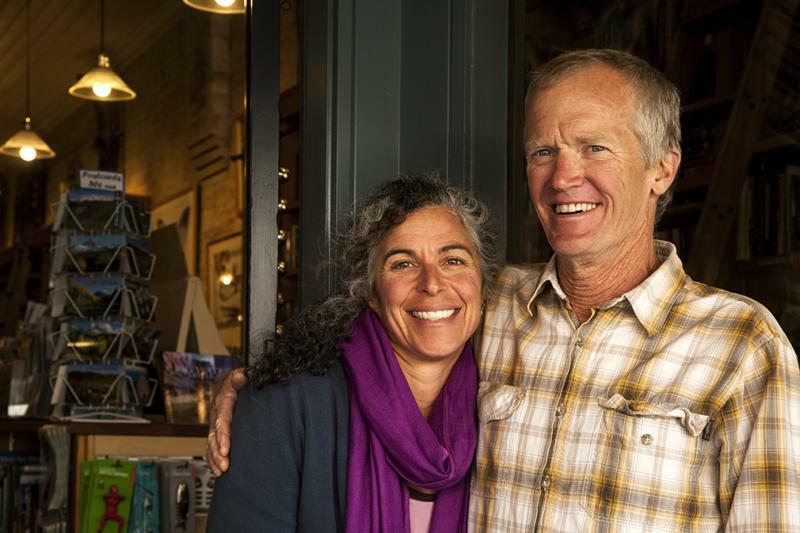 The Space: The store, housed in a more than 100 year-old building in downtown Durango, is designed to promote active and engaged browsing in a warm, inviting atmosphere. Bring the kids and the dog, come in and browse. Introduce kids to books in the Children’s Corner. Our events, varied and plentiful, range from local authors or national bestsellers, to publishing big-names and local interest groups. During each unique event, the store becomes a meeting place for the exchange of ideas, inspired and inspiring discussion, and thoughtful interactions. Oddly enough, there has never been a Maria who has worked at Maria's Bookshop. The store's namesake is master potter Maria Martinez of the San Ildefonso pueblo, whose beautiful designs inspired the bird that is our store logo. Thanks for visiting us online. We hope to see you in person, soon!